In March 2019, the first collection points for household WEEE opened in Central Africa, in Yaoundé and Douala. This has been possible thanks to the support from the Urban Communities of these two cities, which have each signed a Partnership Agreement with the WEEECAM (Waste of Electrical and Electronic Equipment in Cameroon) project. 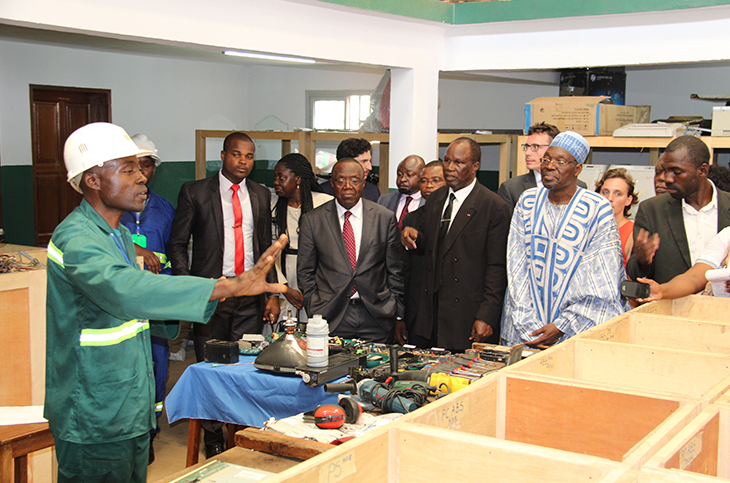 The WEEECAM project has the objective to demonstrate the viability of an e-waste recycling operation on an industrial scale (5.000t/year) in Cameroon. The project will generate significant economic, environmental and social impacts and introduce innovations in this sector such as a carbon credit production component or the search for recycling processes adapted to the local context. 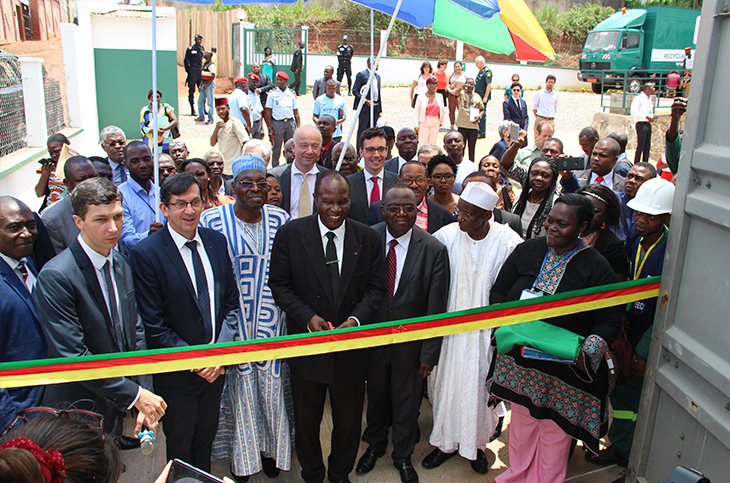 The opening of the collection points is a major milestone for the successful implementation of the WEEECAM project, which is celebrating its 1st year of implementation. To celebrate the success of this first year of the project, the signing of the Partnership Agreements and the opening of the first collection points, a ceremony was held on 19th March at Solidarité Technologique in Ewonkan (Yaoundé) in the presence of the Minister of Environment, Protection of Nature and Sustainable Development (MINEDPED), the Minister of Employment and Vocational Training (MINEFOP), the Government Delegate to the Urban Community of Yaoundé and the French Ambassador to Cameroon, representatives of the Ministry of Housing and Urban Development (MINHDU) and of the Ministry of Posts and Telecommunications (MINPOSTEL). During the ceremony, a partnership agreement was also signed with the Ministry of the Environment , strengthening cooperation between these two actors in environmental preservation. The WEEECAM project is implemented by the non-profit organisation Solidarité Technologique, in partnership with the French NGO La Guilde. “The experience accumulated by the NGOs La Guilde and Solidarité Technologique (ST) has led them to make the game-changing assumption that it is possible to implement e-waste collection and recycling activities that are both economically viable and environmentally sustainable in the context of developing countries, provided that sufficient volumes are available”, explains Vincent Rattez, President of La Guilde. Since 2013, Solidarité Technologique has been the first and major operator certified by the Ministry of Environment to process the WEEE of companies located in Cameroon. La Guilde and Solidarité Technologique joined forces with other partners: the NGOs Gevalor and ERA Cameroon as well as the French Geological Survey (BRGM). This consortium is leading the 5-year project with a budget of €6 million. The WEEECAM project was born thanks to the initial financial support of the French Facility for Global Environment (FFEM), followed by ADEME, the City of Paris, Syctom, BRGM and TOTAL. Research to complete the funding of the project is currently in progress.